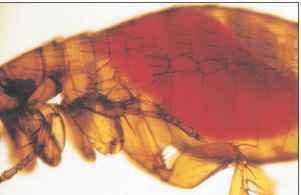 Figure 28.7 Fleas Following a Blood Meal (a) Healthy flea; (b) flea with obstruction due to Yersinia pestis infection. The macrophages die and release the bacteria, which now are encapsulated and express Yops, pilus adhesin, complement resistance, and heme storage. After several days, an acute inflammatory reaction develops in the nodes, producing enlargement and marked tenderness. The lymph nodes become necrotic, allowing large numbers of virulent Y. pestis to spill into the bloodstream. This stage of the disease is called septicemic plague, and endo-toxin release results in shock and disseminated intravascular coagulation (DIC). Infection of the lung from the bloodstream occurs in 10% to 20% of the cases, resulting in pneumonic plague. Organisms transmitted to another person from a case of pneumonic plague are already fully virulent and, therefore, especially dangerous. 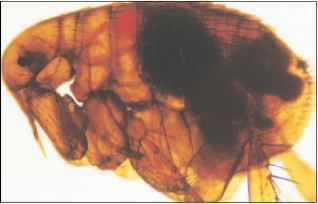 The dark hemorrhages into the skin from DIC and the dusky color of skin and mucous membranes probably inspired the name black death for the plague. The mortality rate for persons with untreated bubonic plague is between 50% and 80%. Untreated pneumonic plague progresses rapidly and is nearly always fatal within a few days. Plague epidemics can be prevented by rat control measures such as proper garbage disposal, constructing rat-proof buildings, installing guards on the ropes that moor oceangoing ships to keep rats from entering, and rat extermination programs. The latter must be combined with the use of insecticides to prevent the escape of infected fleas from dead rats. A killed vaccine that gives short-term partial protection against plague is available to control epidemics and for those who are at high risk in laboratories or endemic areas. 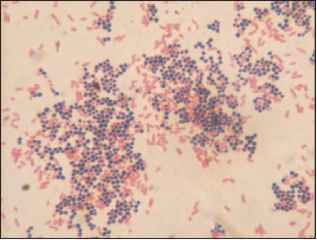 The antibiotic tetracycline can be given as a preventive for someone exposed to plague. The antibiotic is useful in controlling epidemics because of its immediate effect. Treatment with gentamicin or tetracycline is effective, especially if given early in the disease. The main features of plague are presented in table 28.5.